I recently attended the Financial Bloggers Conference. It’s a conference of people, like me, who run and write (or just write) blogs that are finance related. Mostly, we write about personal finance. Whether it’s by design or not, each of the FINCONs I’ve been to have had a very distinct “feel” to them. The first had an emphasis (at least in my perception) of building the blog, and ways in which we can monetize our blogs to make them self-sustainable. This year, the theme, as I perceived it, was all about voice. Perhaps that can be attributed to Adam Baker (of Man Vs. Debt) and his opening keynote. Throughout the speech, he spoke about defining the why. Writing for the why. Living out the why. What is the why? It’s the purpose. It isn’t the product, and it certainly isn’t the site. It’s the reason that we write what we write. It’s the reason that we come back night after night to write articles for our sites. For me, the “why” of Beating Broke is to share the knowledge I have. It’s to share the knowledge I learn. It’s to have an outlet that allows me to reach a few people and, hopefully, help them make their financial lives better. I write articles about finance to make your financial life better. During Adam’s keynote, I realized that I was surrounded by 450 or so other writers. Each with their own unique voice, talents, and experiences. The realization of that, and the realization of how many people there are out there that don’t even use the internet makes me feel so small. I’m such a tiny, tiny, drop in a sea of information. Later, I sat in on a panel of some of the pioneers in the financial blogging community. During that panel, they spoke about how the community has grown, and how much the community’s influence has grown. Another keynote speaker, Liz Weston, spoke about how our influence is growing. She touched on how what we do, sharing information online, has become more and more accepted and acknowledged as a source of information. Again, surrounded by the community of bloggers that I am a part of, I felt so small. If you’re reading this, it’s because you have become a part of the Beating Broke community. It’s a small community in the middle of a much larger community. But, it’s a community with one overarching “why”. We exist to make financial lives better. We do it by making our financial lives better and then sharing that with others. So, today, I’m going to ask you to share. Share the community with someone else today. Invite someone else into the community. You’ve got plenty of options on how you do that. With all the social media available, it’s becoming pretty easy. Send an email, write a tweet, share on Facebook, or any number of other ways to share. 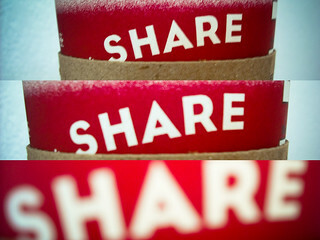 But, share. We become better by helping others become better. Share your favorite blog, blog post, or any bit of information today. Invite them into the community. And, finally, if you’re a part of the community, I want to help make your financial life better. If you’ve got questions, please feel free to ask them. Leave a comment below. Or use the contact form to send me a note. I’ll do whatever I can to get you an answer.